September | 2018 | Nicholas Hoffman & Co.
Will We Live Long Enough to Live a Long Time? We have grown used to the idea that life expectancy for Americans will increase over time. Advances in medical diagnosis and treatment, better understanding of the impact of diet, and a relentless media focus on the benefits of exercise, seem bound to produce a lot more people in their 90s, and even centenarians. Recent trends in life expectancy tell a different story. In fact, once all the data has been analyzed for 2017, it is highly likely that we will have three straight years where American life expectancy declined. The last time a three-year decline occurred was in 1916-19, a period which included the end of WWI and a terrible flu pandemic. Why has life expectancy begun to fall? There is no single answer. There are several diseases and factors which are proving deadlier including diabetes, drug overdoses, pneumonia, and Alzheimer’s disease. One of the main areas of improvement over the last few decades was the decline in fatalities from heart disease, but that has now begun to stabilize. Among the few positive areas are lower numbers of deaths caused by cancer, HIV, and blood infections. The increasing attention being paid to income inequality has led to more analysis of the impact of wealth. The evidence clearly identifies that people with lower standards of living have higher death rates. This is an area beset with politics, so care is needed when looking at the available information and analysis. One area of contention is whether longer life expectancy for the wealthy is due to purchase of better treatments as opposed to simply living a healthier lifestyle. For example, obesity cares little about wealth, but levels of obesity, and associated health issues, tend to be higher among the less wealthy. Do the negative overall trends in life expectancy mean that we should change our approach to financial planning for the future? After all, if we are not going to live as long, we will have less need to provide for our retirement. The answer to this question is clear. While overall life expectancy might be declining, people in the wealthier socio-economic groups are still likely to have long lives. Moreover, this group is also the one that takes most advantage of current knowledge to have some influence on how long they live. So, do not be misled by any news stories about shorter lives. Planning for a long period of retirement remains a vital part of managing our finances. This is especially true for those who follow the advice of our medical profession by staying trim, exercising regularly, getting regular checkups, and avoiding alcohol and drug abuse. Of course, we all carry the benefit or curse of the genes we are given, and some diseases and accidents are completely out of our control. There is no guarantee that we will need the funds we have set aside for living into our 90s, but we should make some provision. We might just live long enough to live a long time. 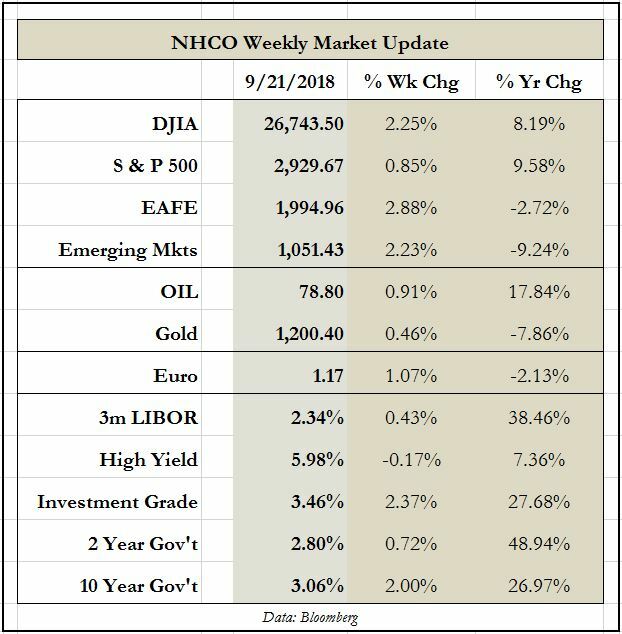 This entry was posted in The Weekly on September 24, 2018 by nhoffmanandco.